BRIDGETOWN, Barbados, May 10, CMC – The Barbados based Caribbean Development Bank (CDB) has added an electric vehicle to its transportation fleet, as part of its commitment to advance a clean energy agenda in the Region. The vehicle, a Nissan Leaf Tekna purchased through the company Megapower Ltd. – based here, produces zero emissions and will reduce the Bank’s carbon footprint as it transports packages and officials throughout the island. 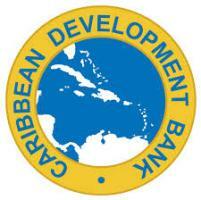 Energy security is a consideration integrated throughout CDB’s work ,both within the organisation and throughout its Borrowing Member Countries, under the Bank’s 2015-2019 Strategic Plan. Police in Maryland say a man pretended to be a ride-share driver—and followed a woman home in an attempt to rob her. Surveillance video captured the frightening moments.